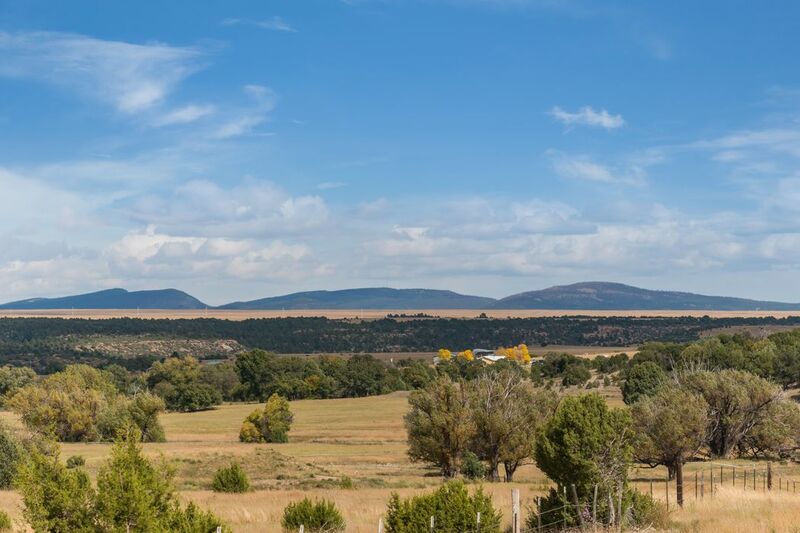 548 State Hwy 161, Buena Vista, NM 87712 | Sotheby's International Realty, Inc.
$647,000 3 Bedrooms2 Full / 1 Partial Baths4,100 sq. 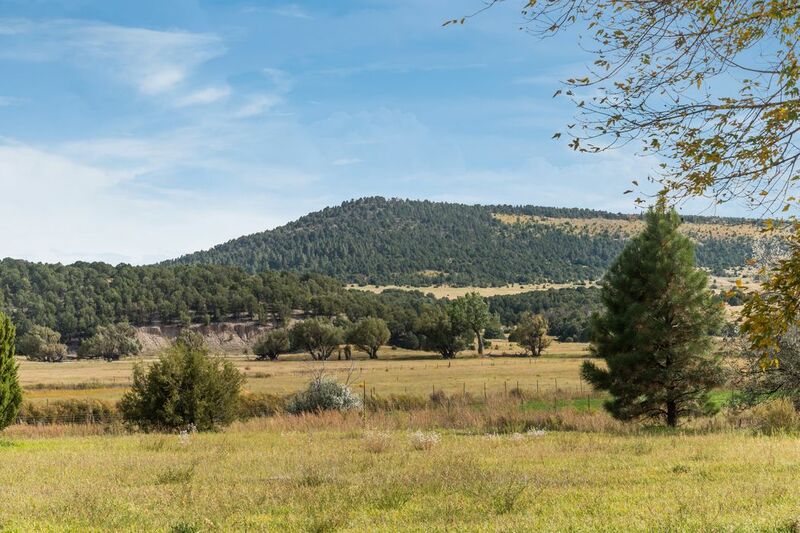 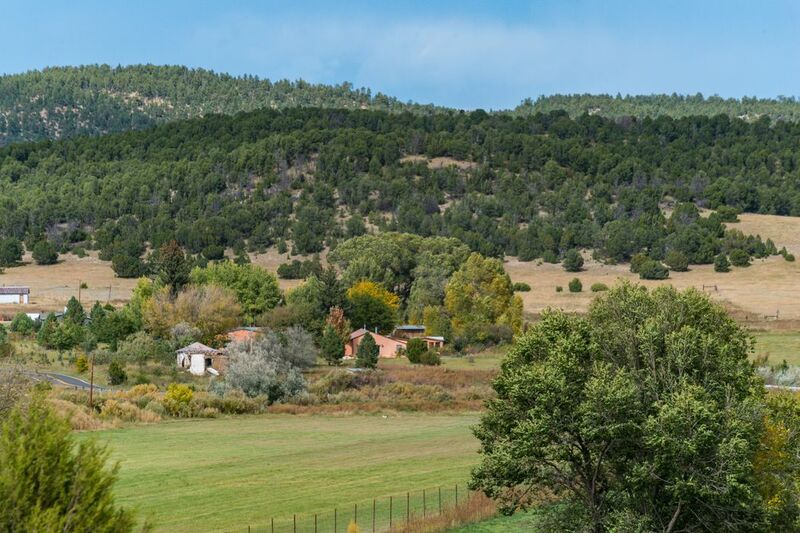 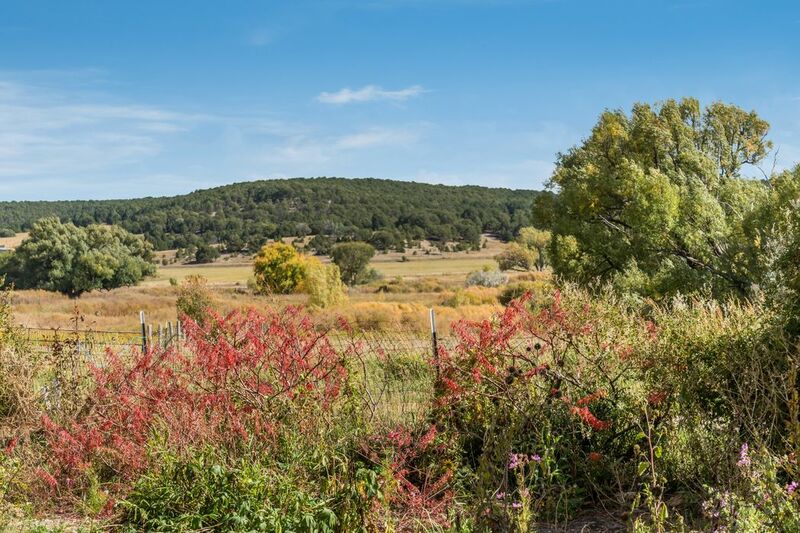 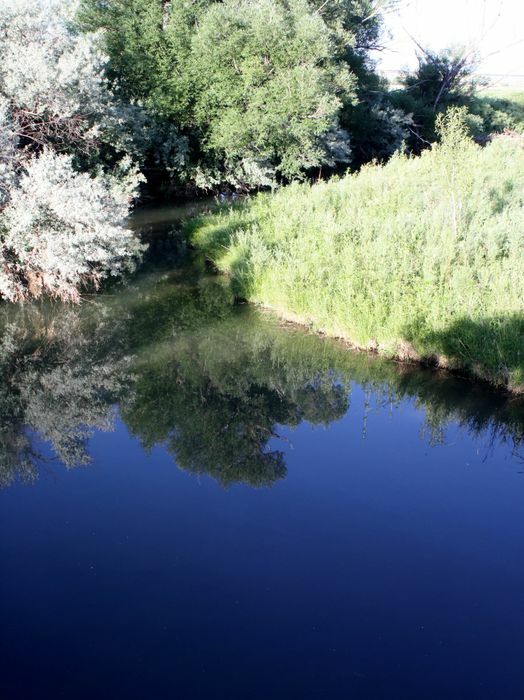 ft.
Slightly less than 60 acres of beautiful green, irrigated (2 historic acequias) grassland with the Mora River flowing through & a private well. 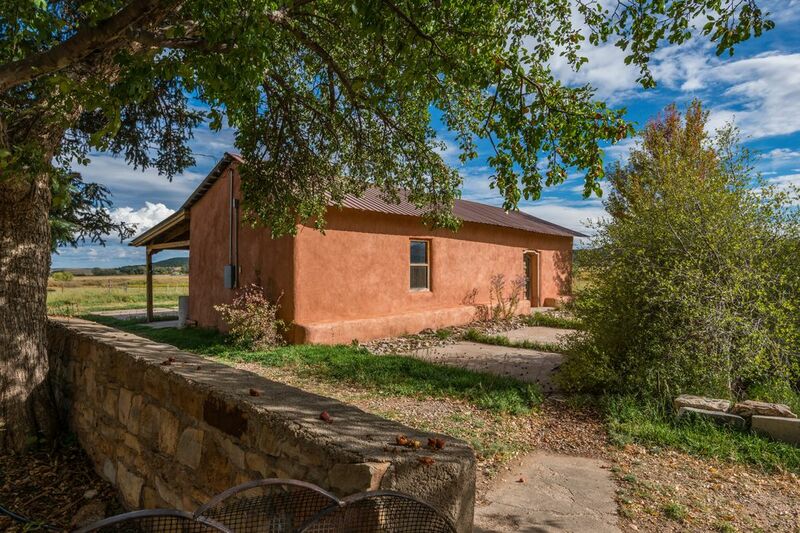 Located in a tiny village with a population of 6 really good people & an old Mission Church which is still maintained. 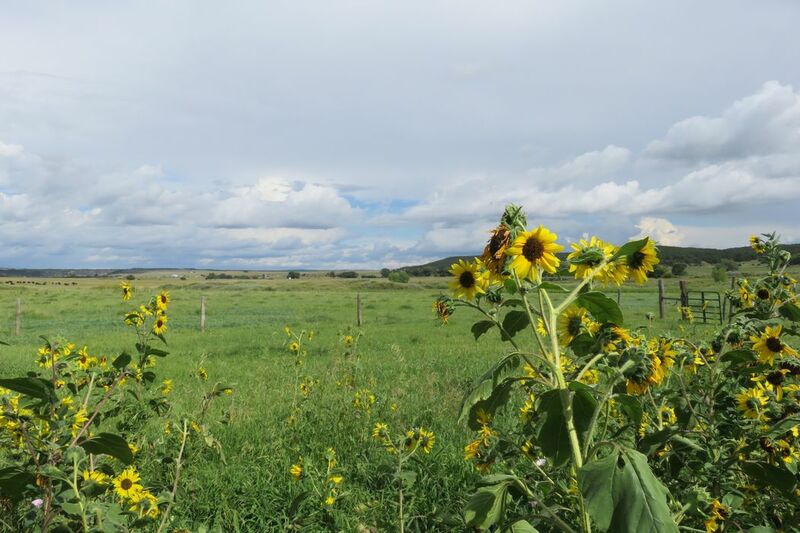 Hispanic kinships occupy this area on the small ranches and giant ranches. 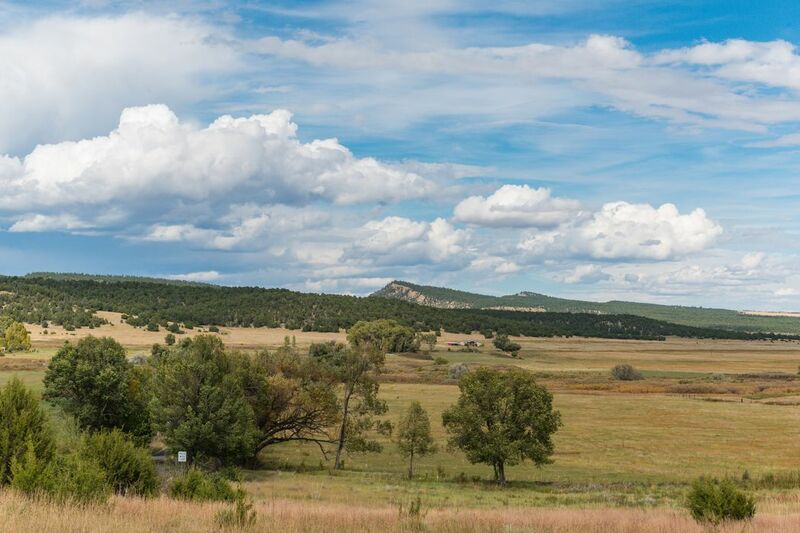 This is cattle/horse country today, once Apache/Comanche territory. 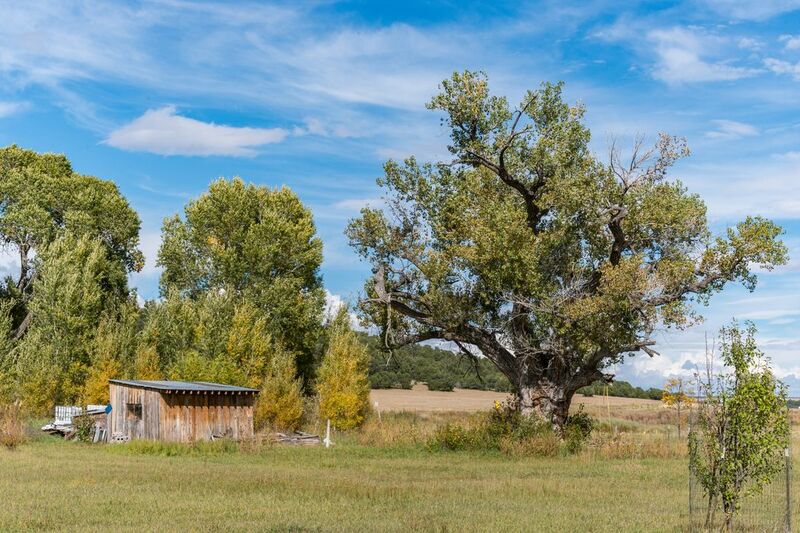 Wild asparagus grows in the meadows, a 150 yr. old cottonwood, still standing which is an heirloom along with a variety of trees used in landscaping the property. 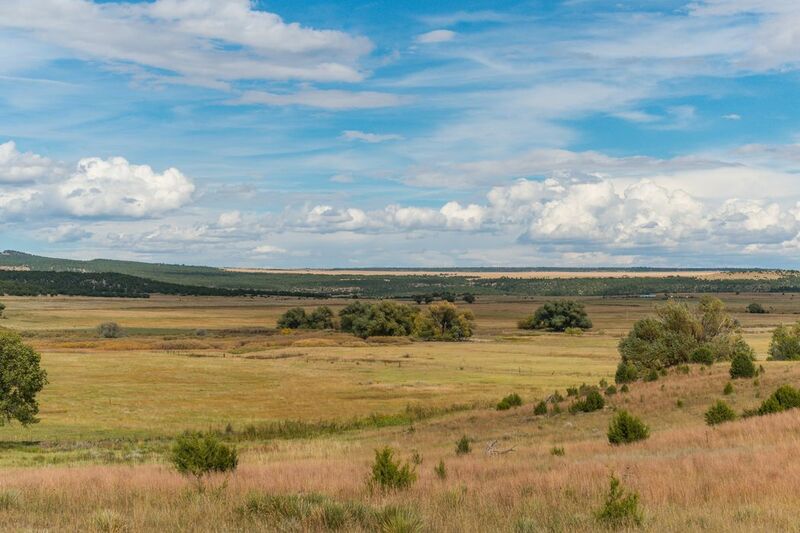 Elk, deer as well as coyotes roam the meadows along with many species of animals and birds. 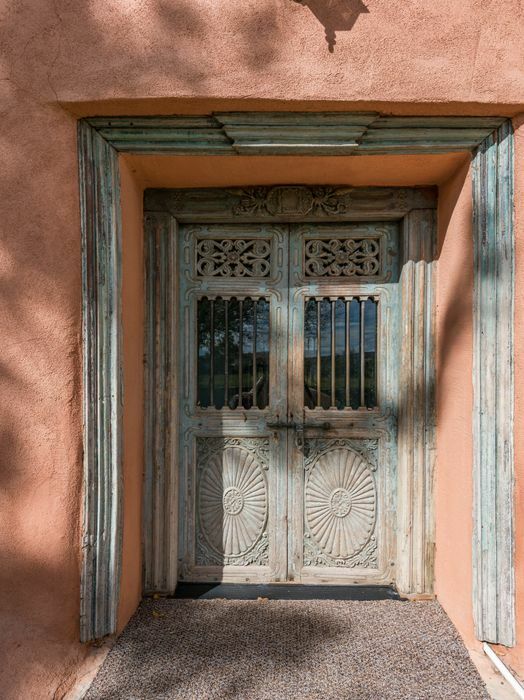 The main house was built in 1865 of adobe and stone, added on to in time using the same materials. 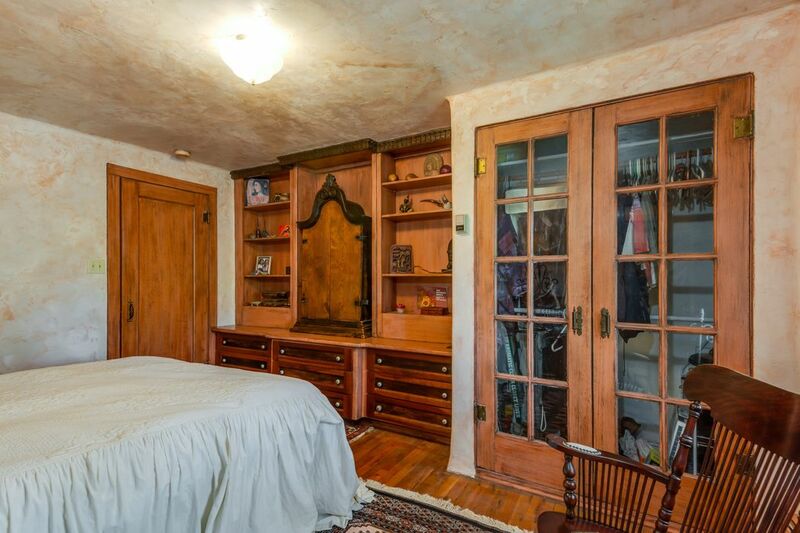 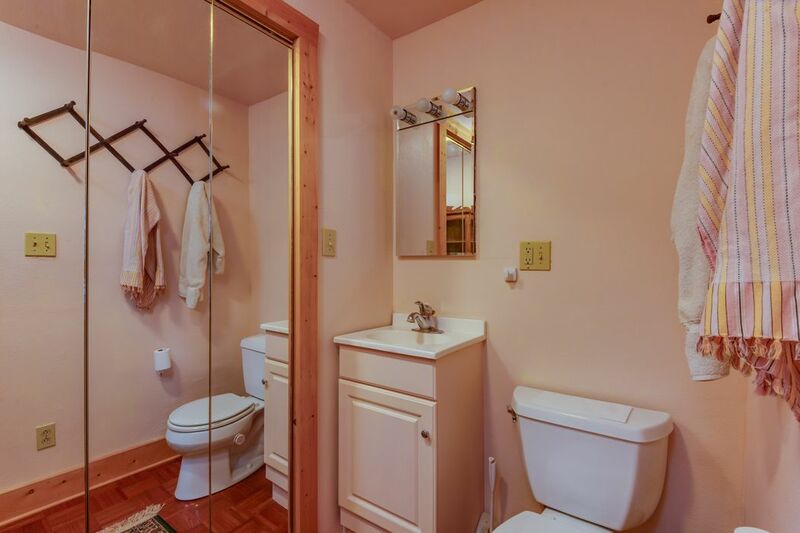 3 bedrooms, 1 and 1/2 baths, a study and parlor. 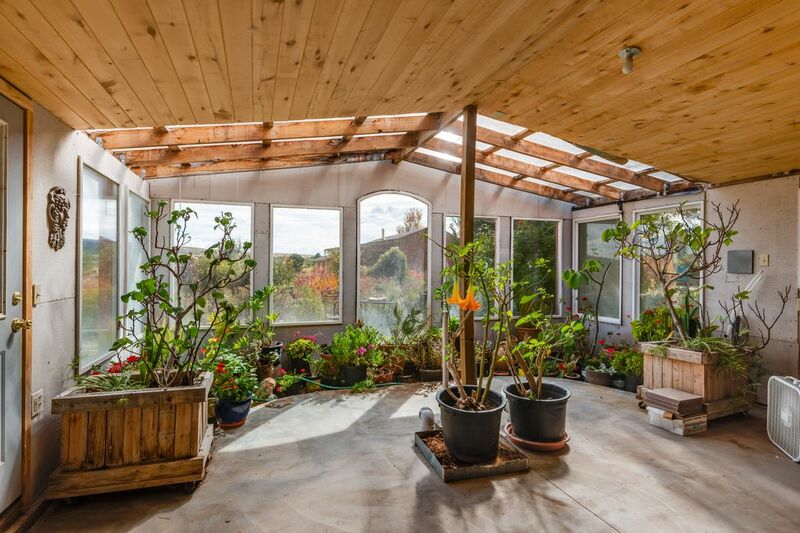 The greenhouse is roughed in for a guesthouse. 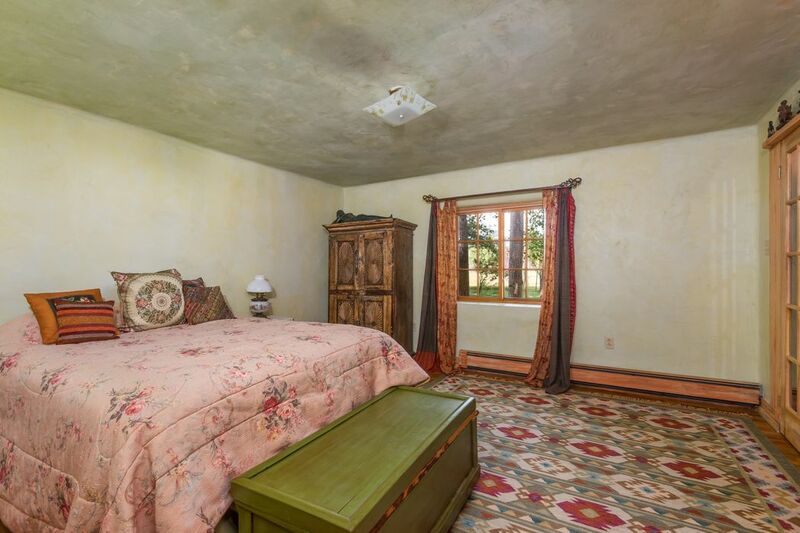 A second, tall ceiling, 1865 building which is still being restored with 1 living room, kitchen, bedroom & bath. 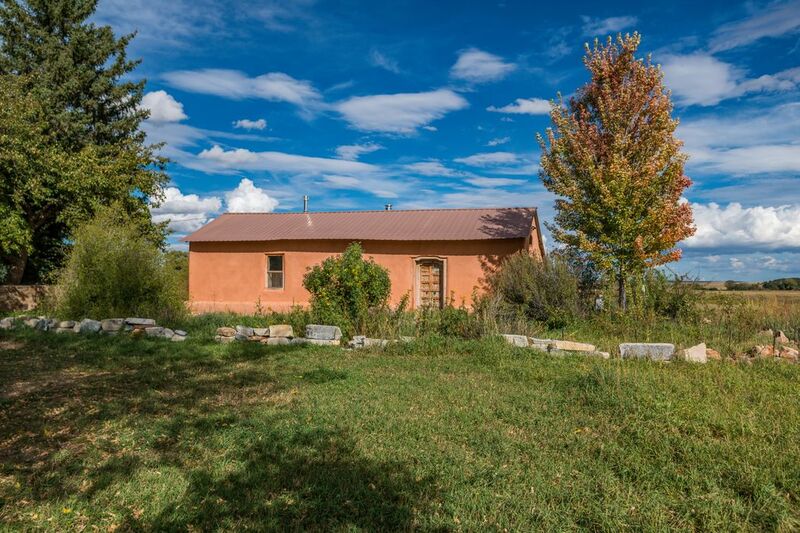 A small hay building or lean-to for your horses. 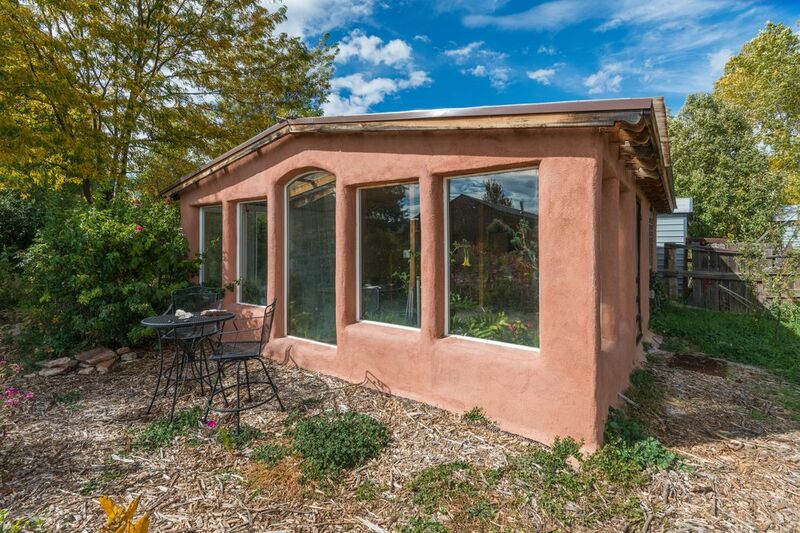 Considered Organic, the current owner has never used any chemicals on this property. 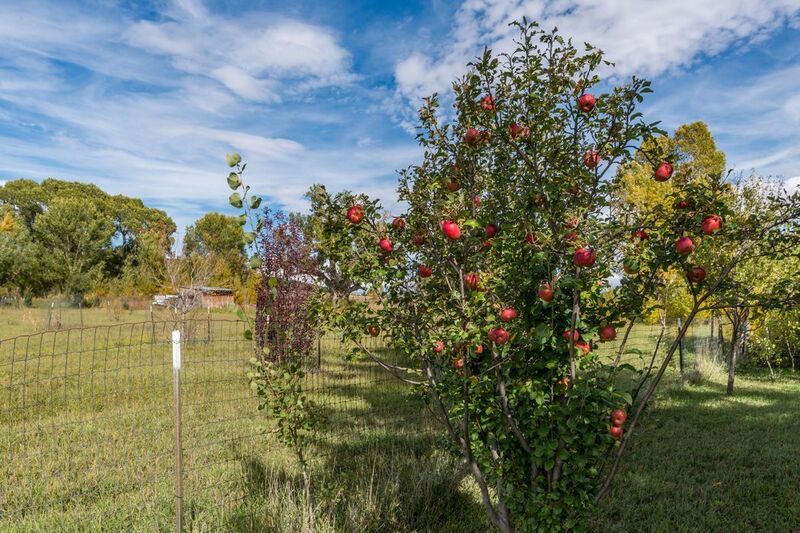 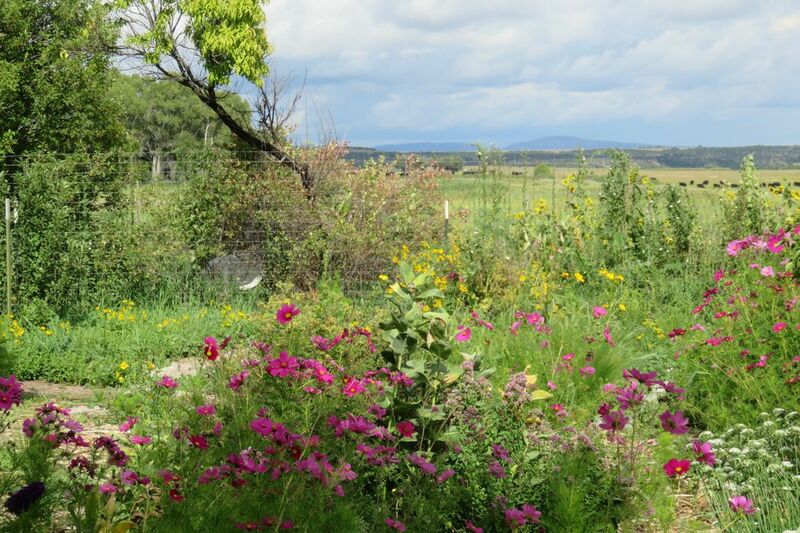 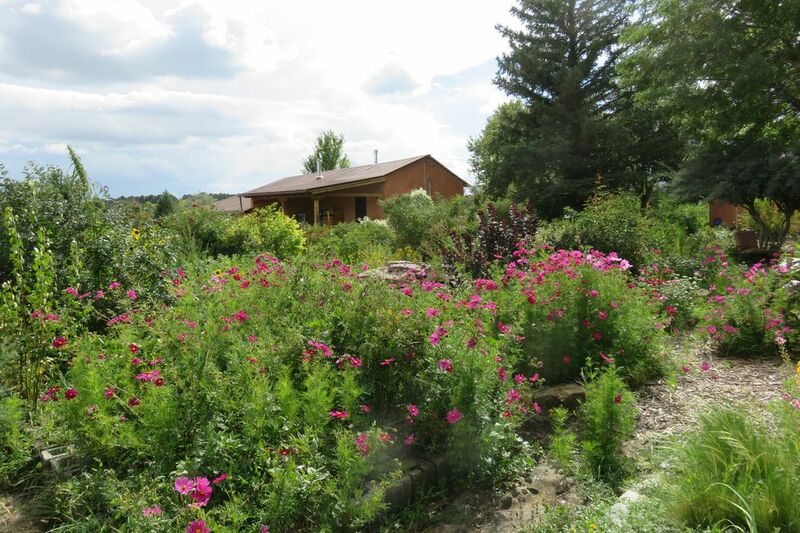 The gardens are basic permaculture design with fertile soil including chokecherry, raspberry, gooseberry, hawthorne, currents, elderberries, mulberry, old apple trees from 1945, pears, peaches, tall spruce trees & aspen trees. 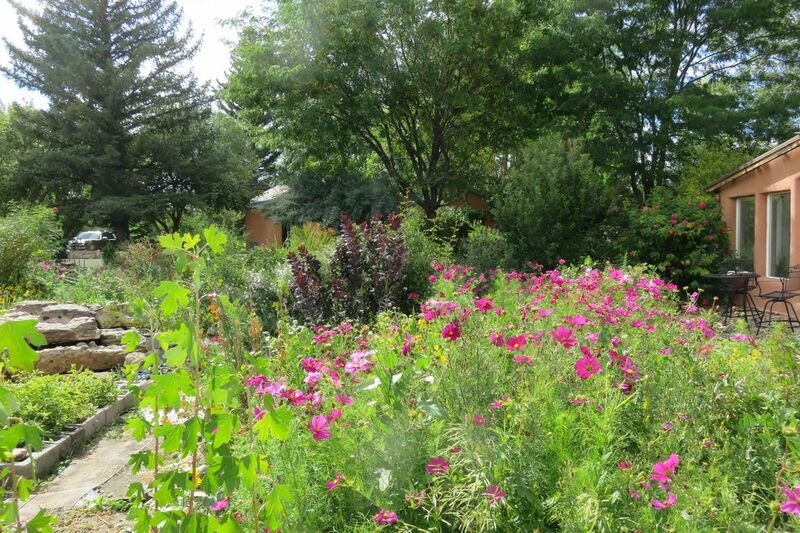 There are two waterfall/pond areas & the gardens have always been on a extensive drip irrigation system. 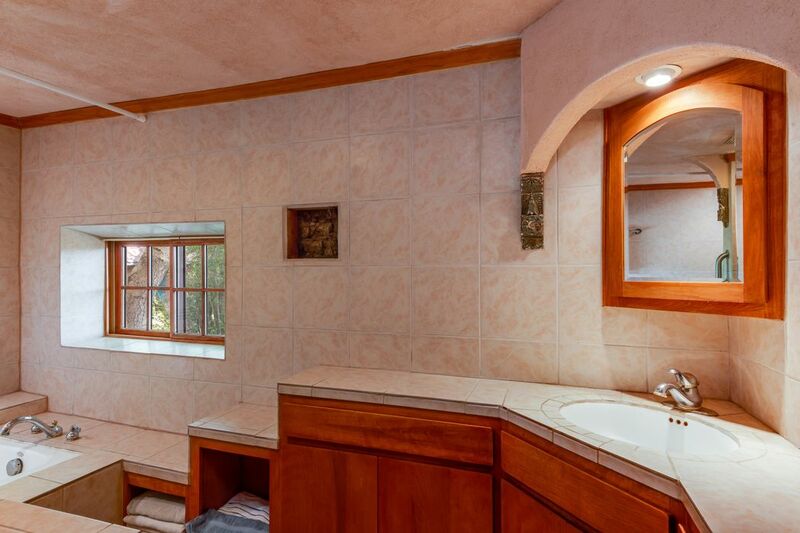 30 min to Las Vegas. 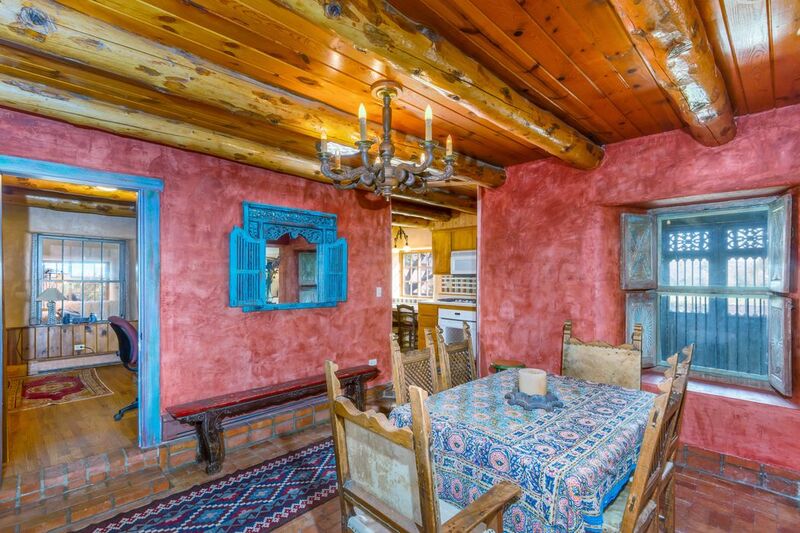 1 1/2 hr to Taos & Santa Fe. 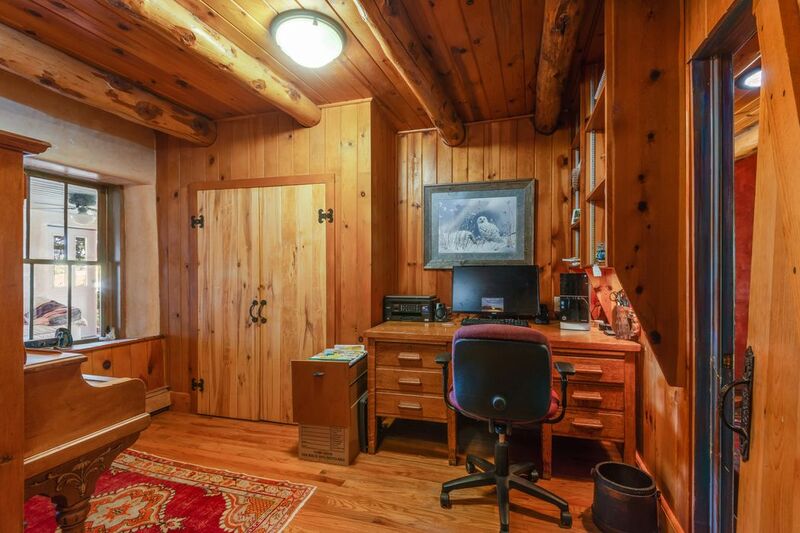 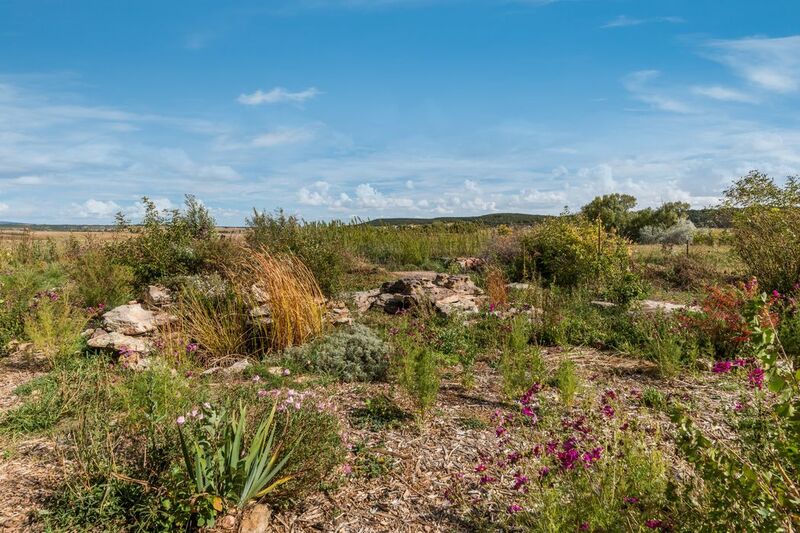 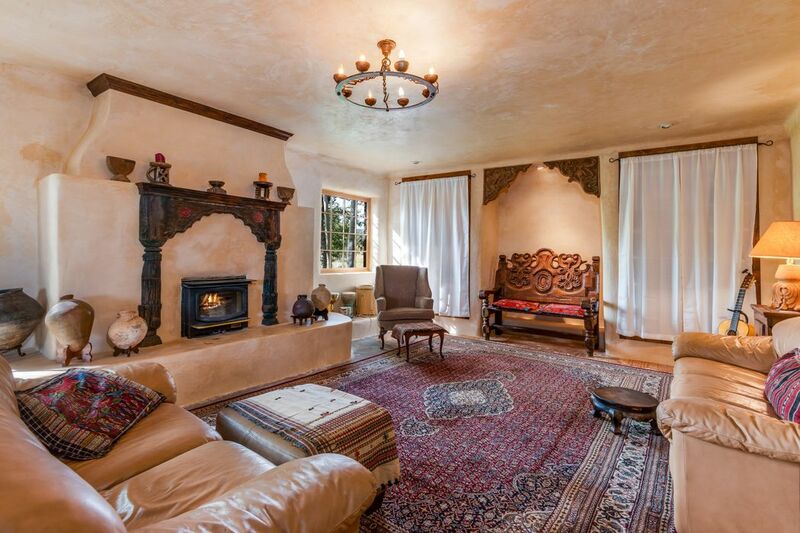 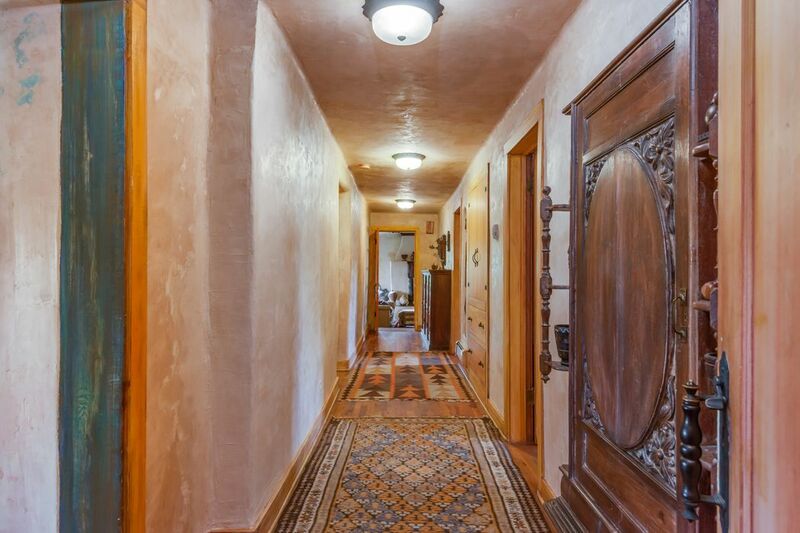 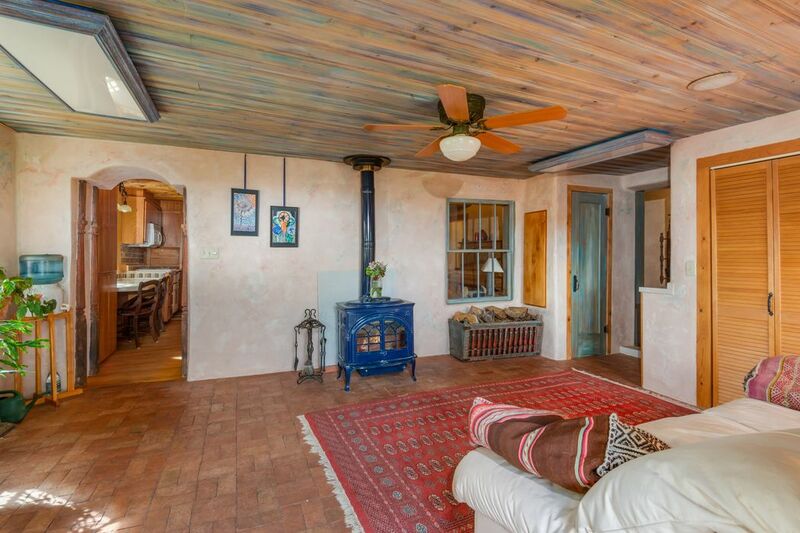 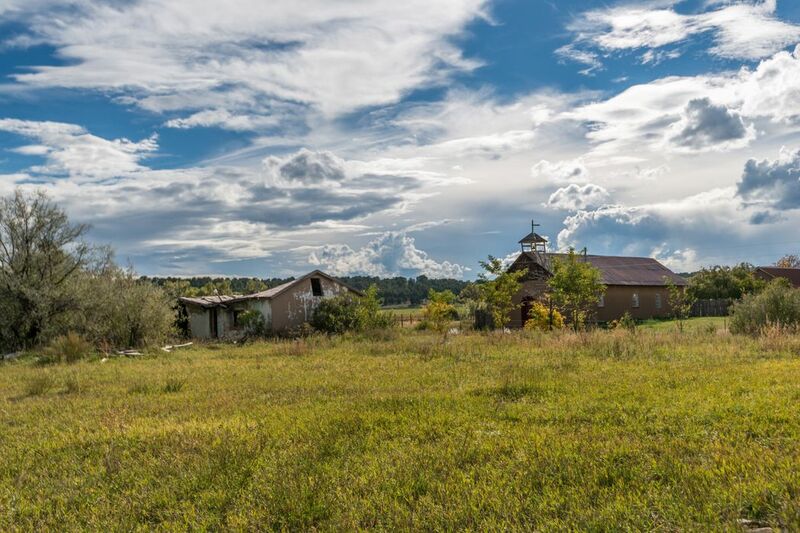 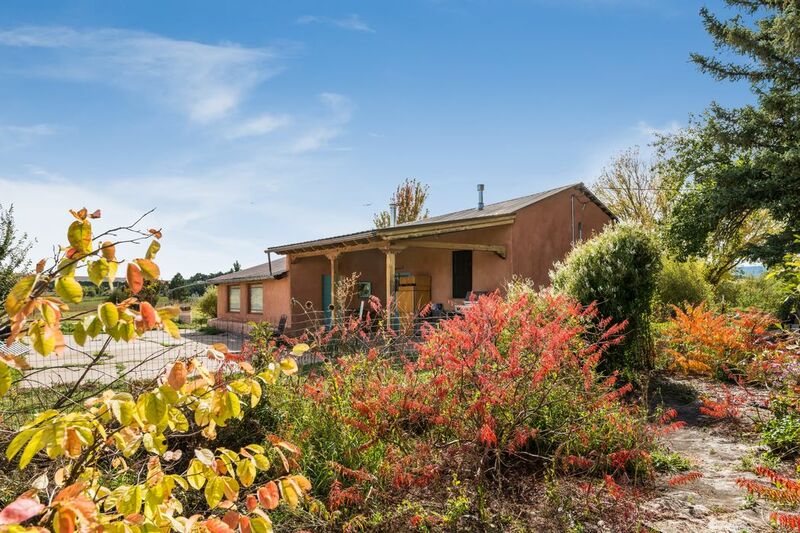 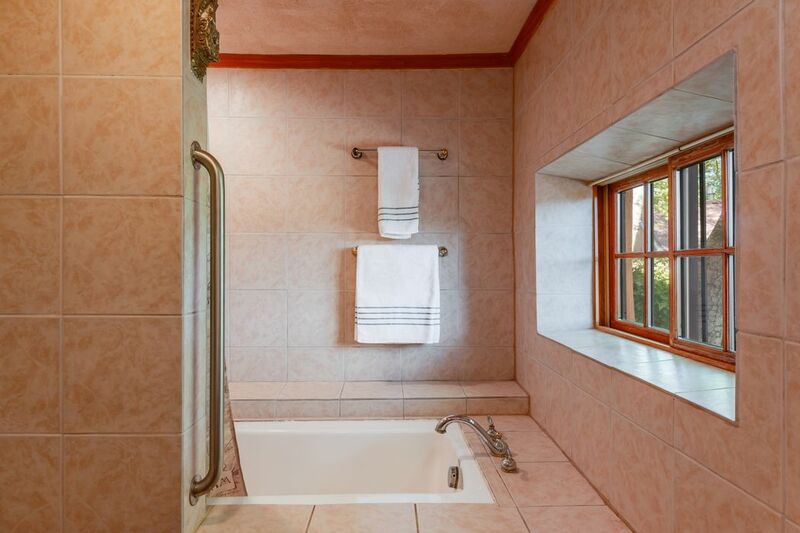 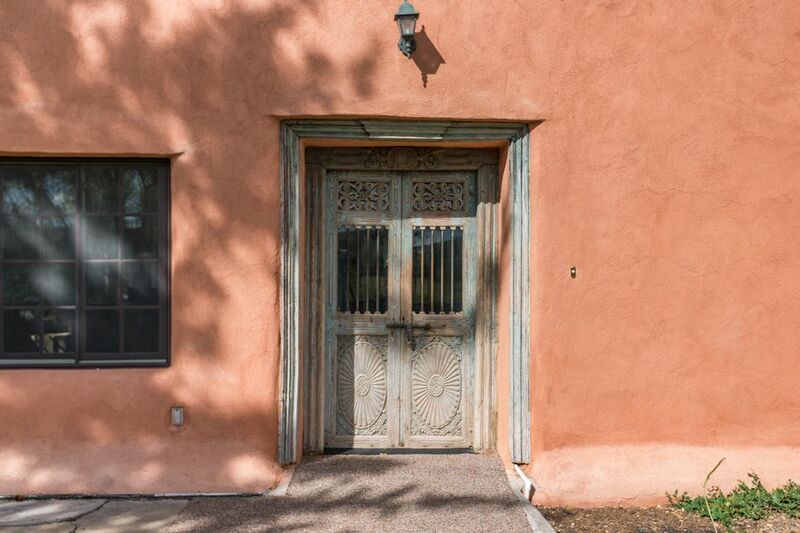 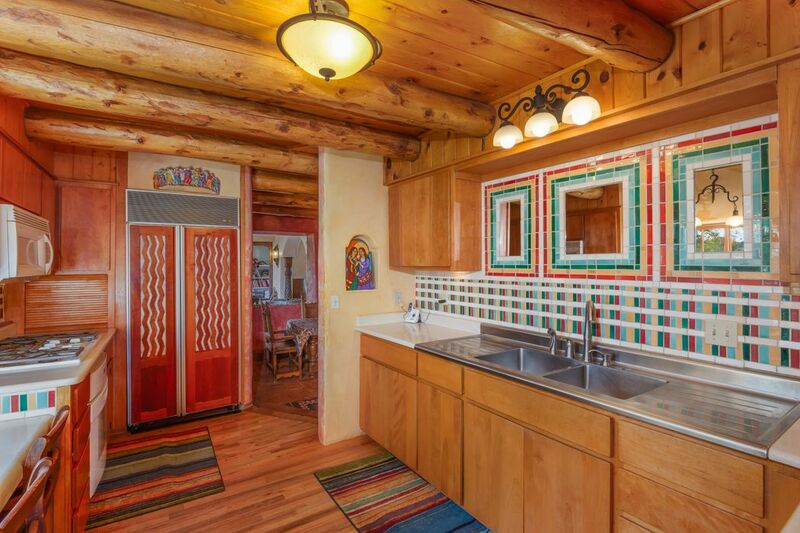 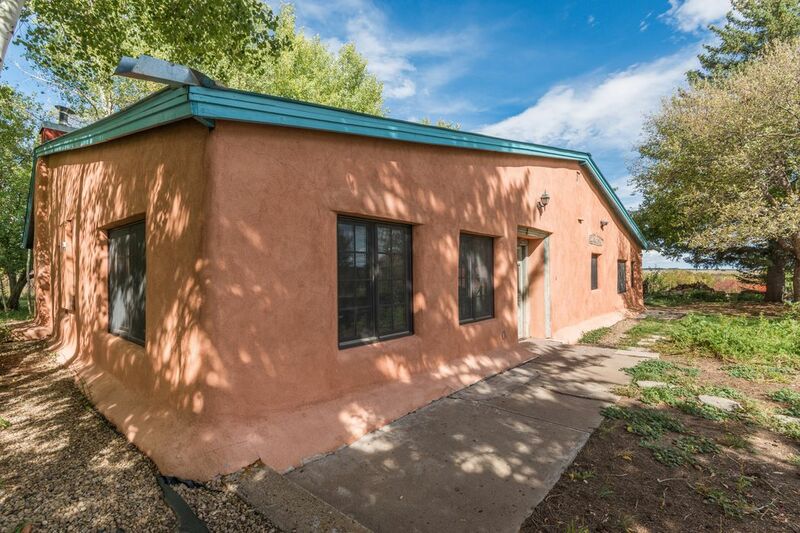 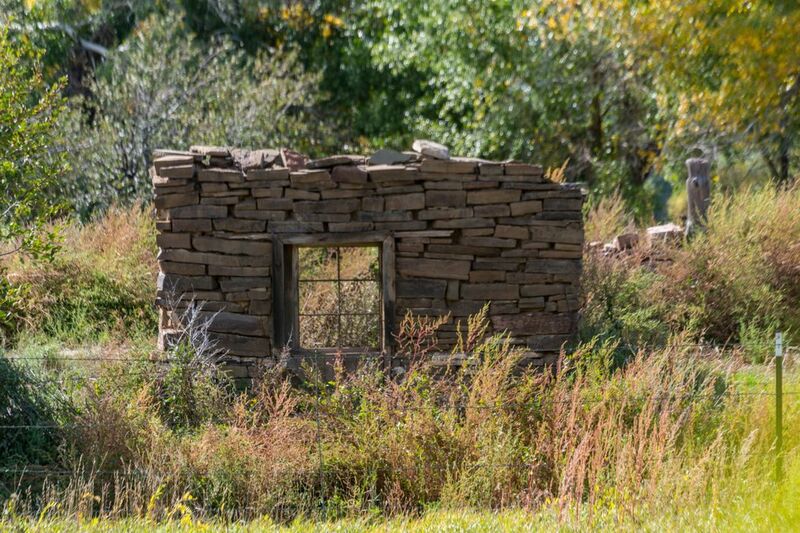 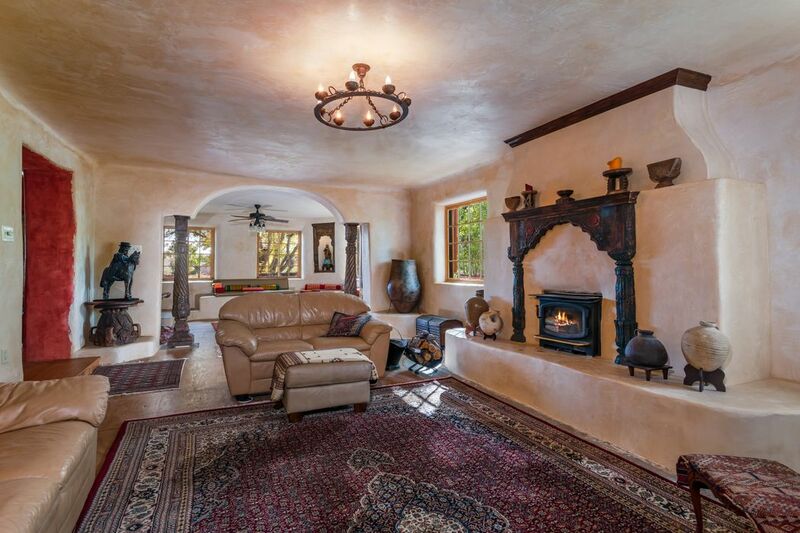 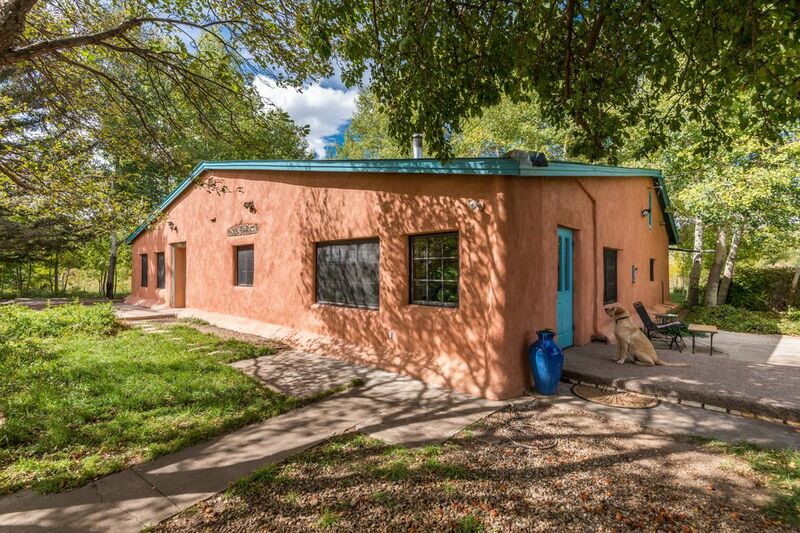 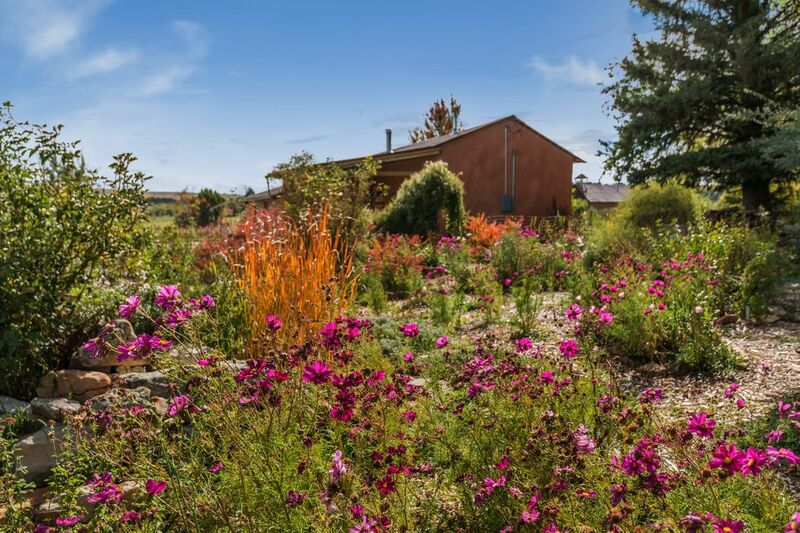 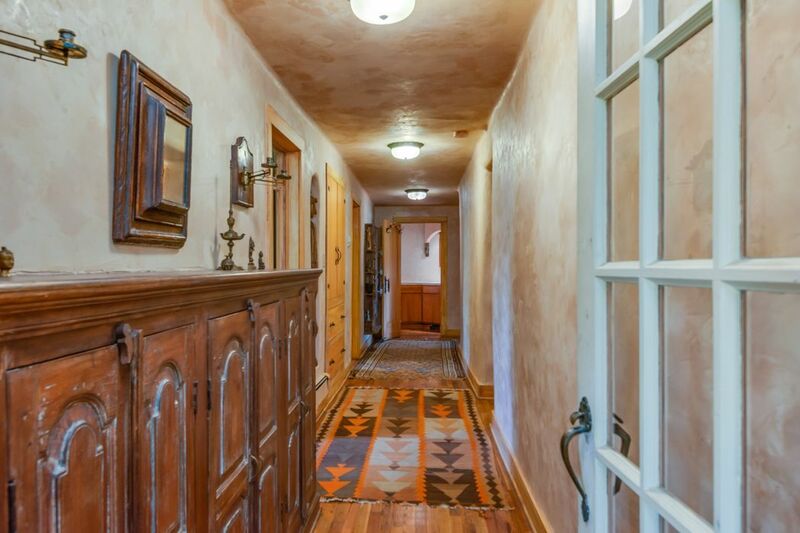 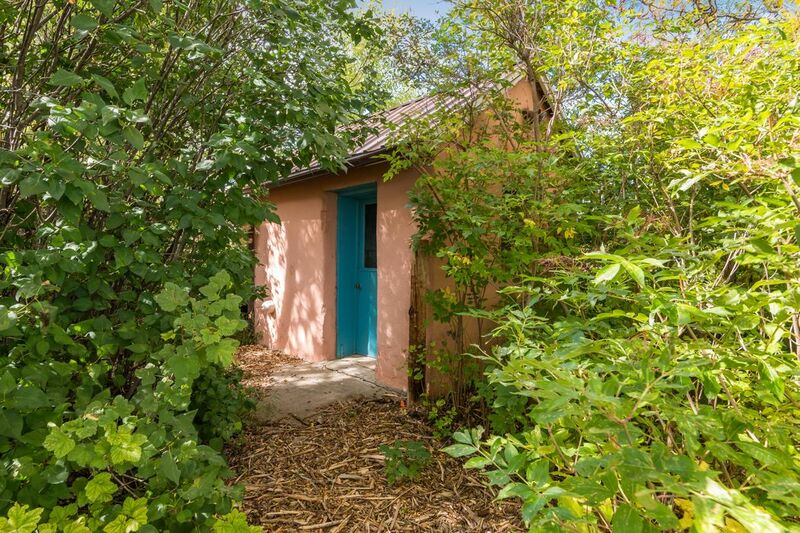 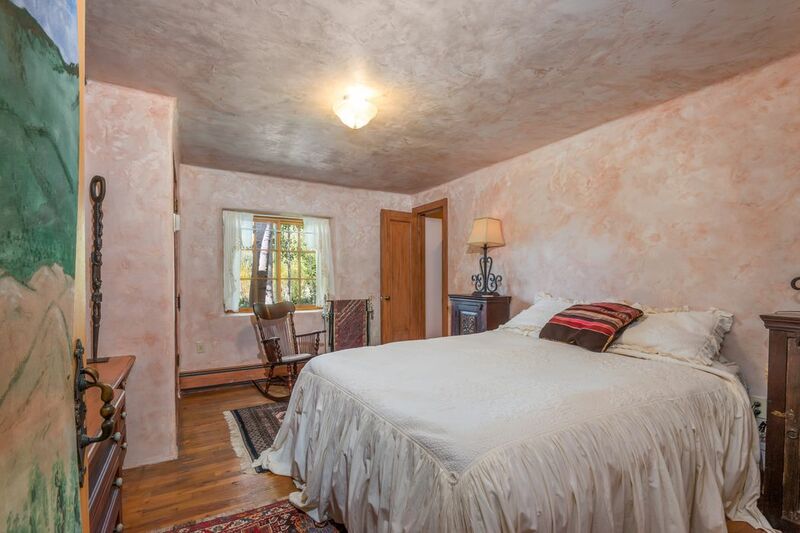 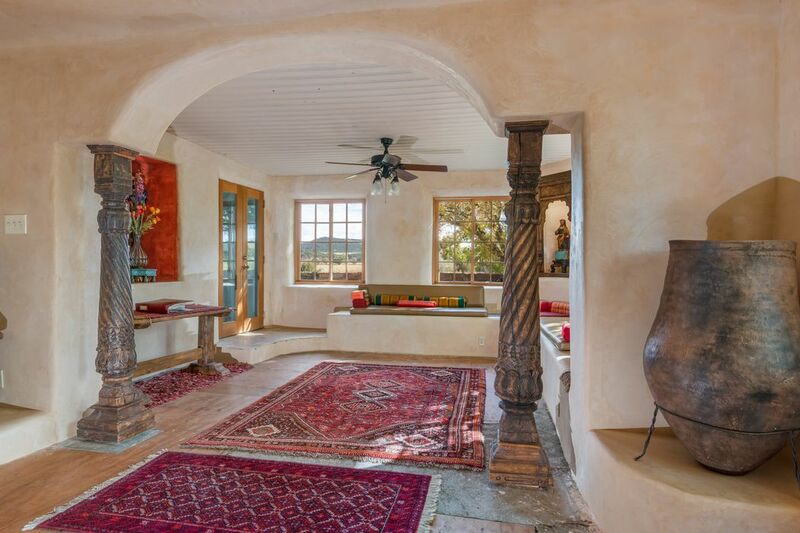 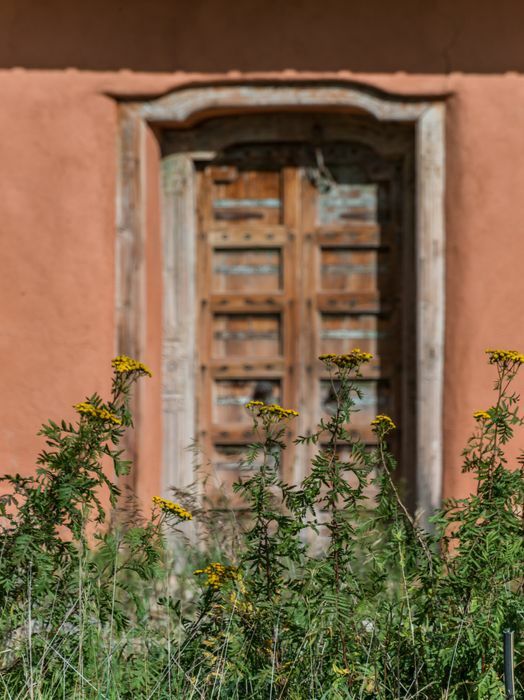 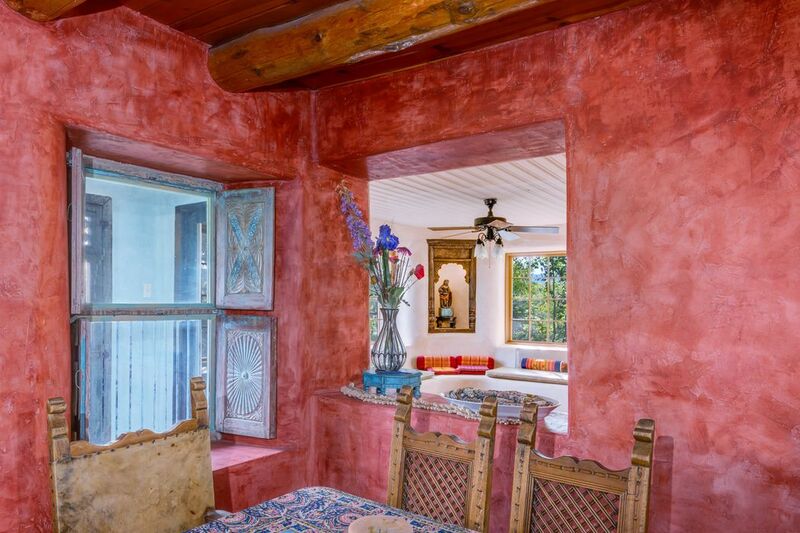 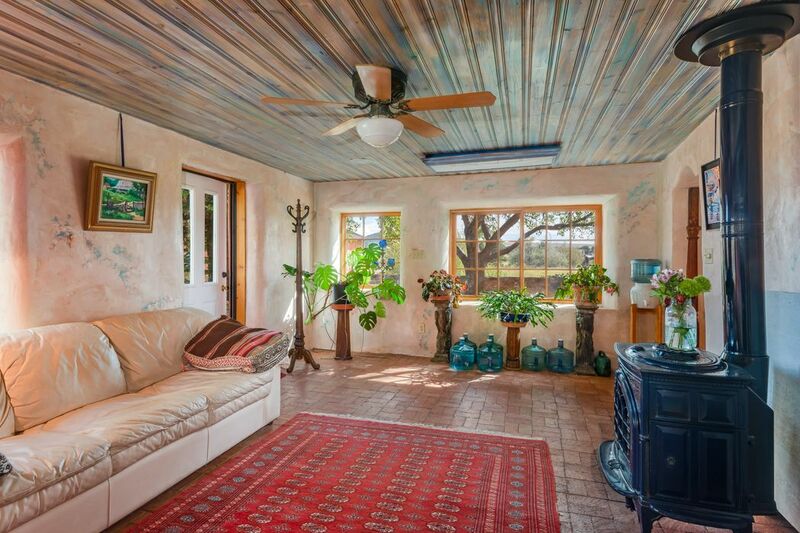 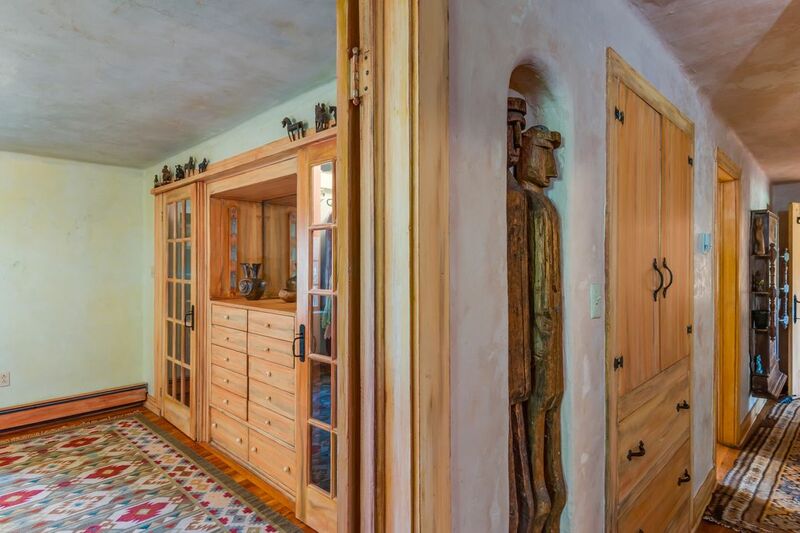 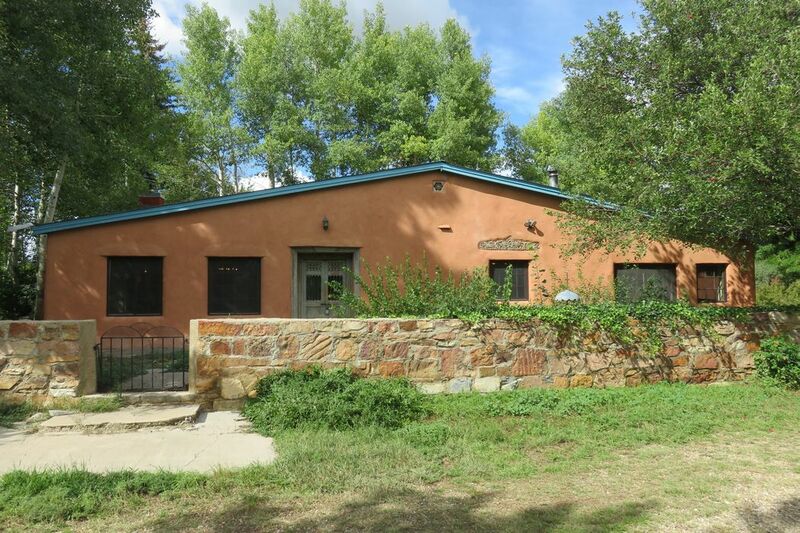 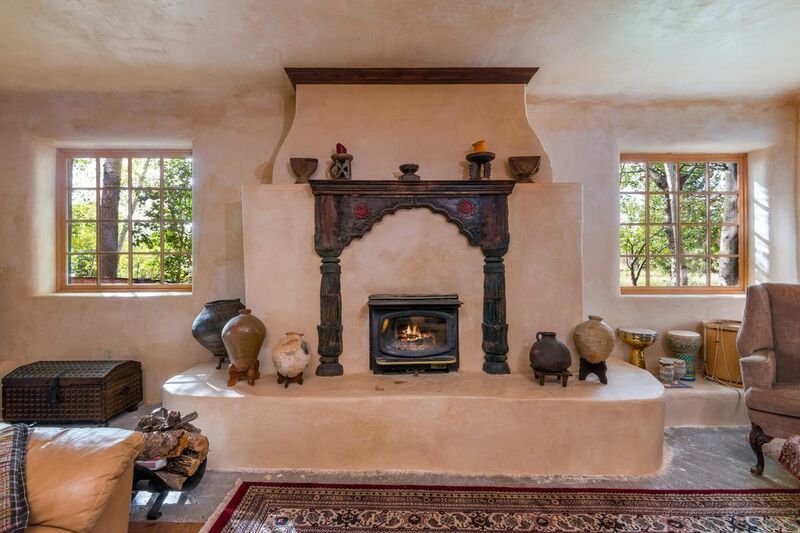 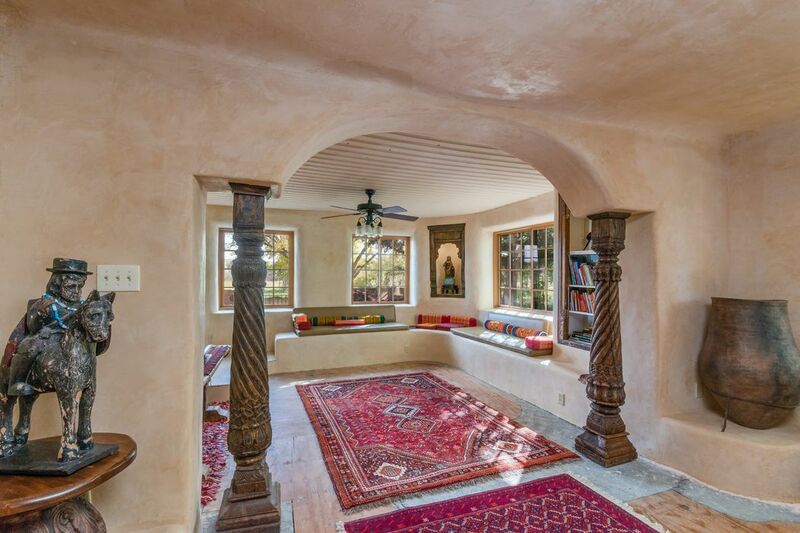 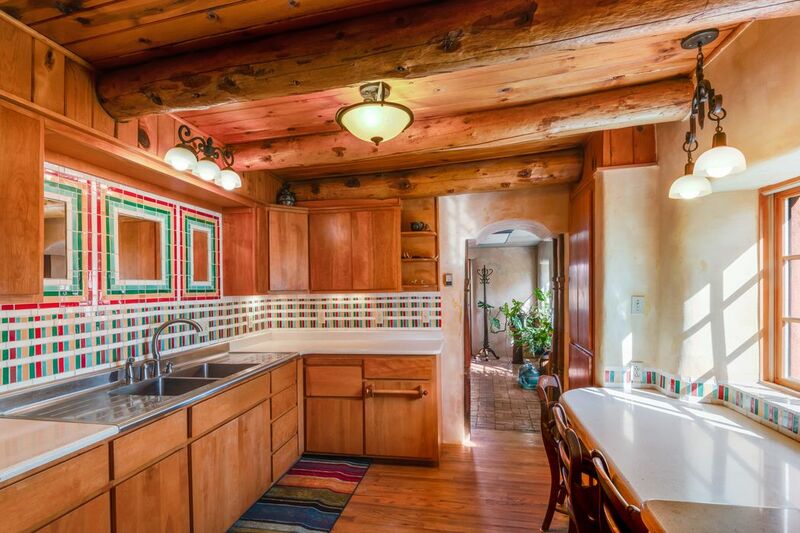 Apartment Therapy, "Look Inside: A $647K New Mexico Home on 60 Acres of Organic Land"